Google has announced that it has released the code for Android 4.0 Ice Cream Sandwich to developers and one team has already managed to cobble together a mod from Google's build requirements. For a company as big as Google to release the source code of a platform that is not officially in shops yet, this is a big move and one that's in the right direction for open source. The team that managed to get a version of Ice Cream Sandwich out first is Galnet, which has created the GalnetMIUI for ICS which works on a multitude of devices – including the Samsung Galaxy S2, HTC Desire S, Nexus S and the Motorola Defy. Android 4.0 is a significant OS update for Google as it bridges the gap between smartphones and tablets. 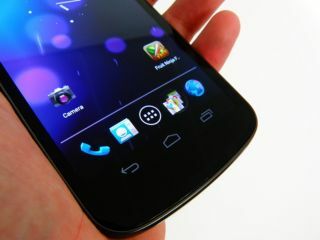 The first official ICS release device is the Samsung Galaxy Nexus, which should be in shops come 17 November.